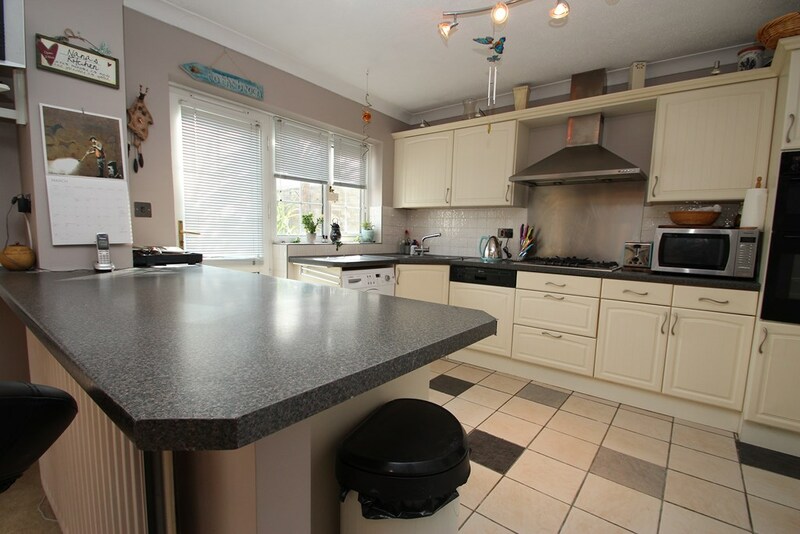 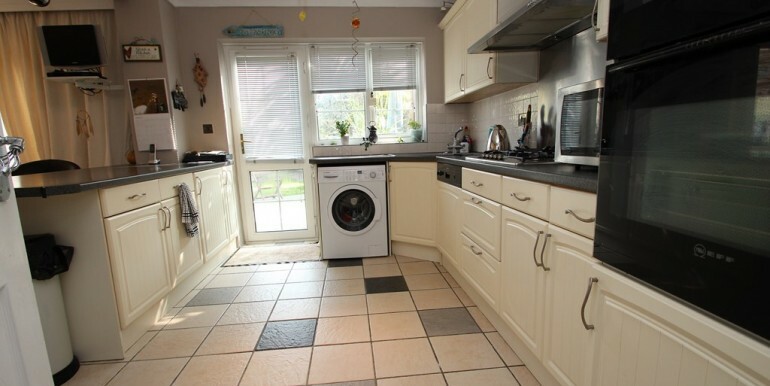 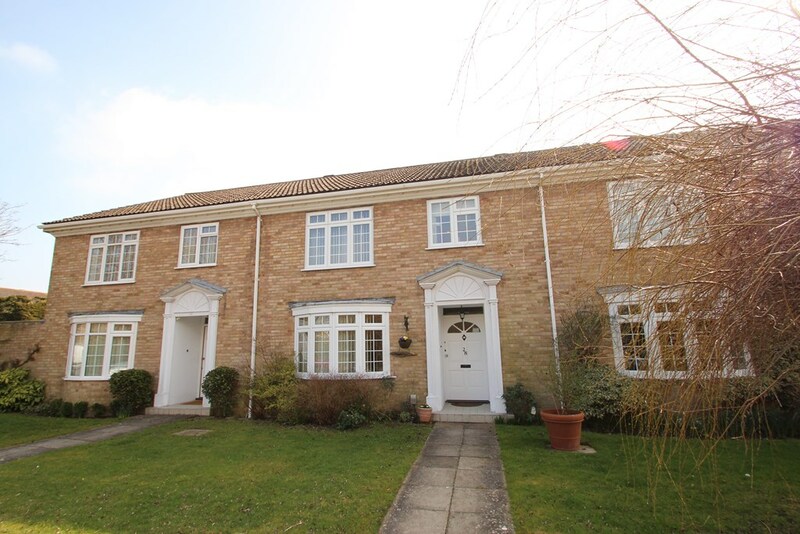 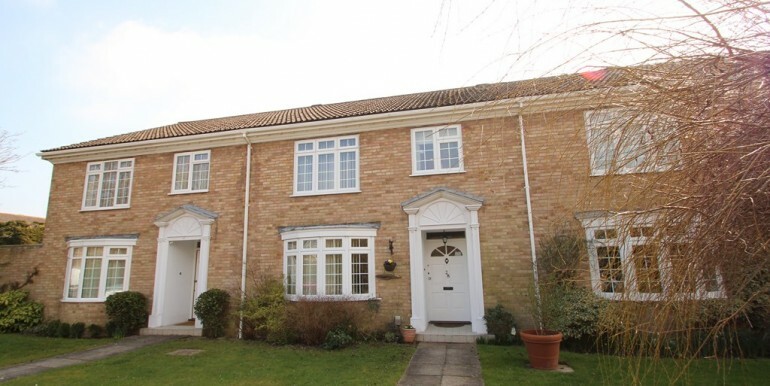 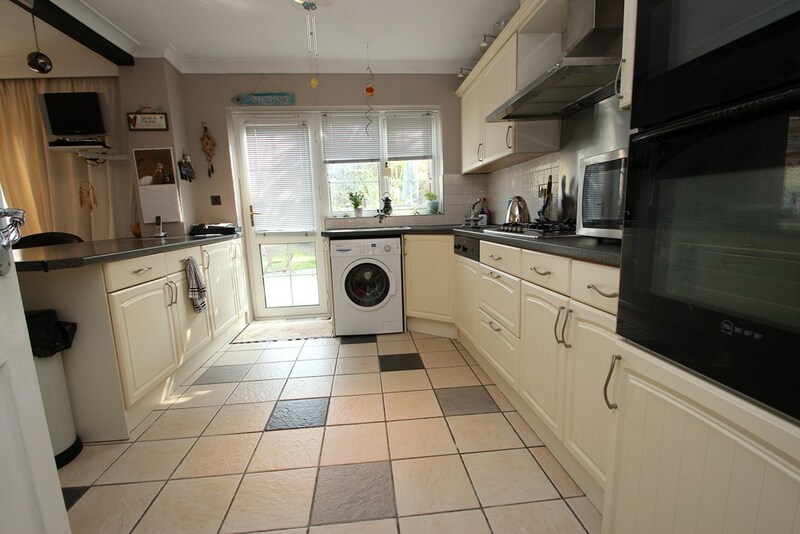 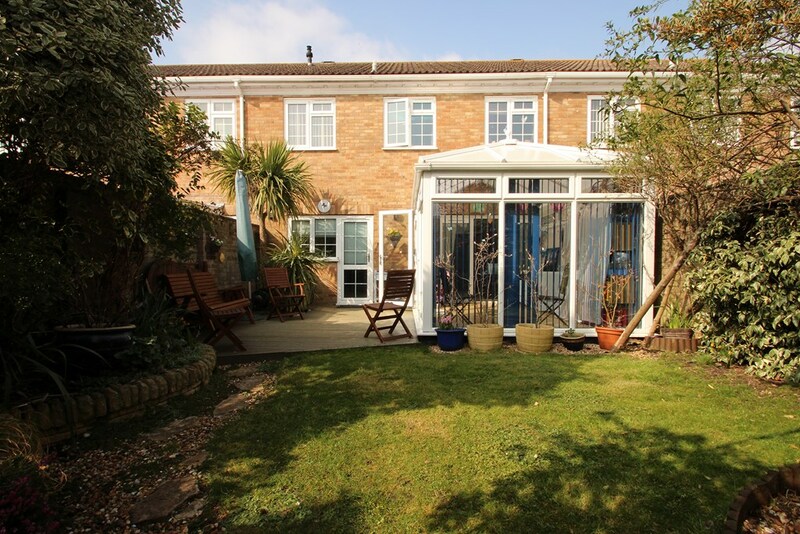 Situated on the highly popular Riverslea development, A spacious four bedroom house which is presented in beautiful order throughout and benefits from a UPVC conservatory and a garage in a nearby block. 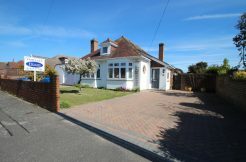 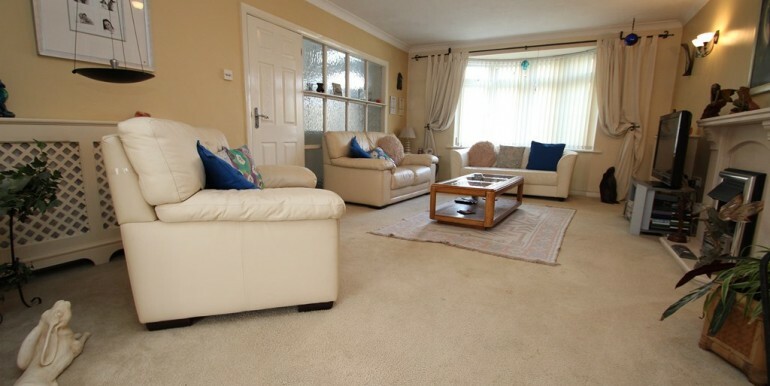 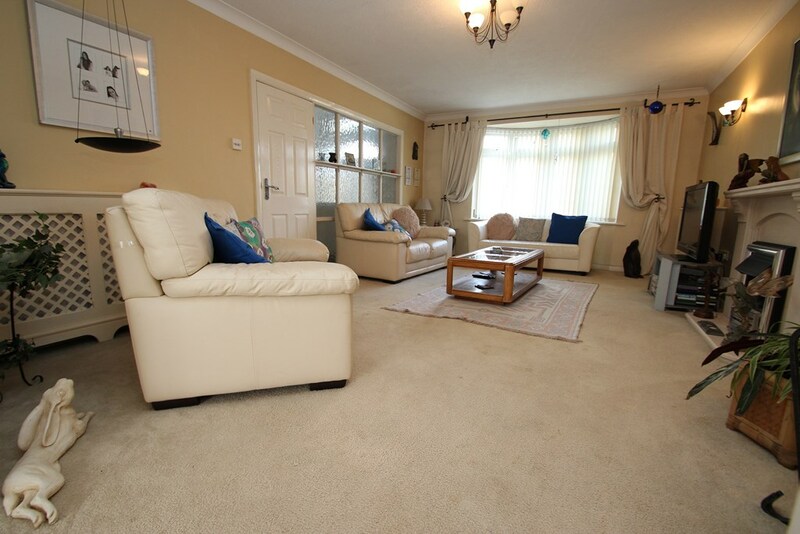 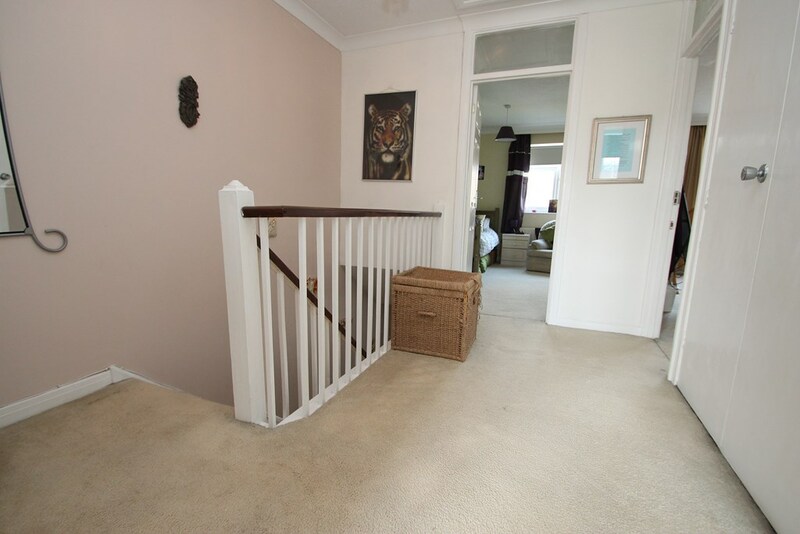 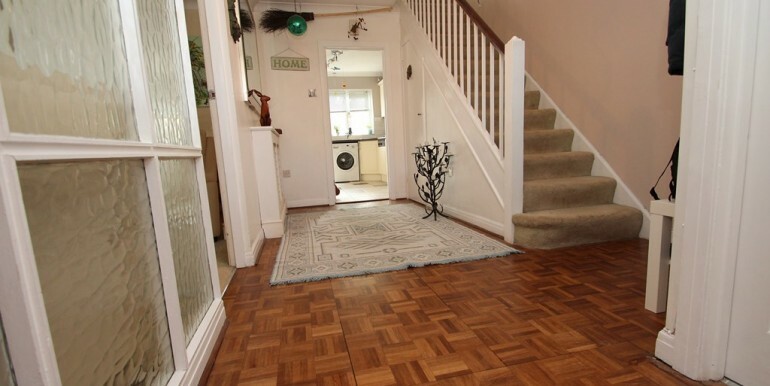 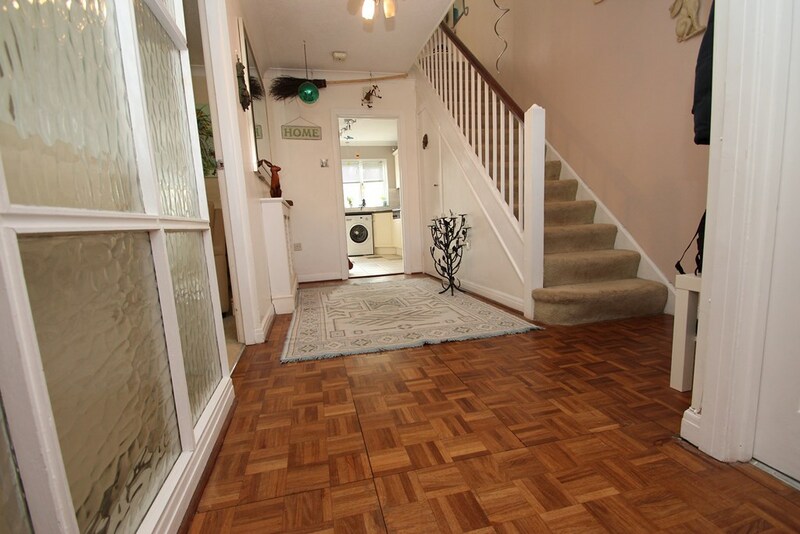 Access via a solid wooden front door leads into the spacious entrance hall where stairs rise to the first floor accommodation, there’s an understairs storage cupboard, a cloakroom has a low flush WC and wash hand basin, doors lead into the living room and kitchen / dining room. 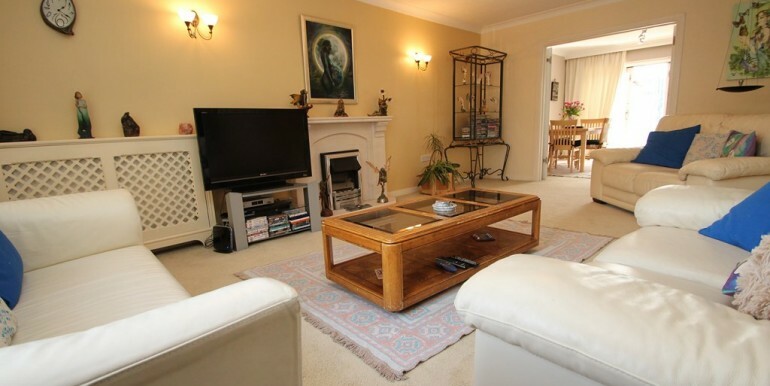 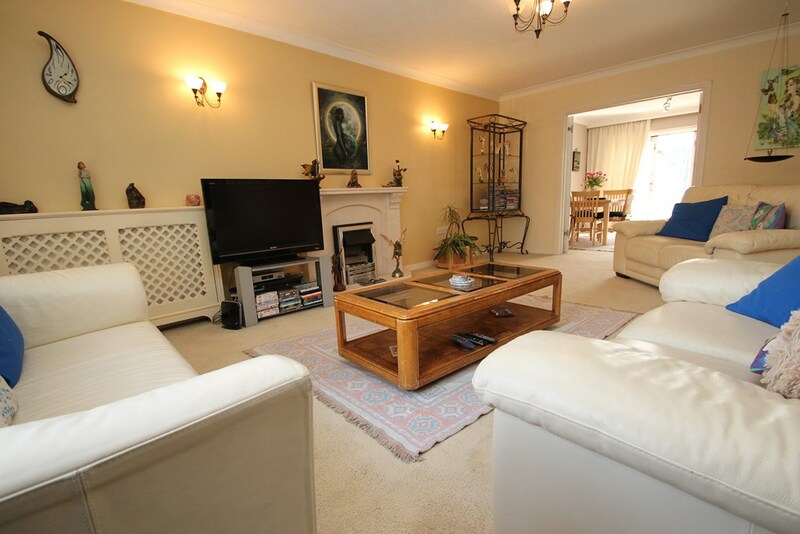 The spacious living room has a bay window which overlooks the front aspect, a feature central fireplace houses an electric fire, double opening, glazed casement doors lead through to the kitchen / dining room. 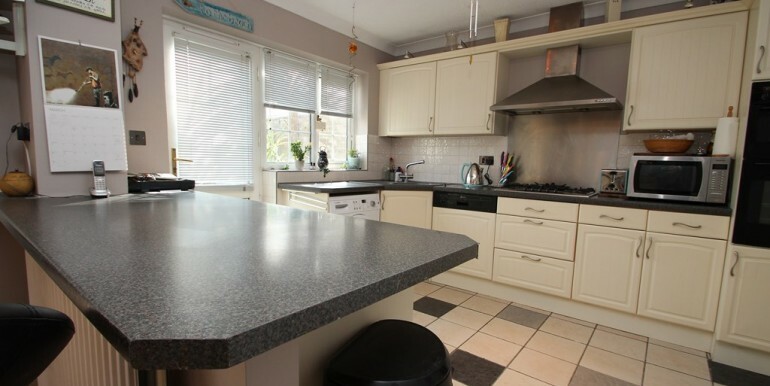 The kitchen / dining room is generous in its size, the kitchen area has a modern range of wall mounted and floor standing units surmounted by roll top work surfaces, there’s a breakfast bar, an inset one and a half bowl sink unit with mixer taps and a side drainer, built in eye level, double electric oven, inset 5 burner gas hob with a stainless steel extractor hood above, built in dishwasher, space and plumbing for a washing machine, a UPVC double glazed casement door leads out to the rear garden. 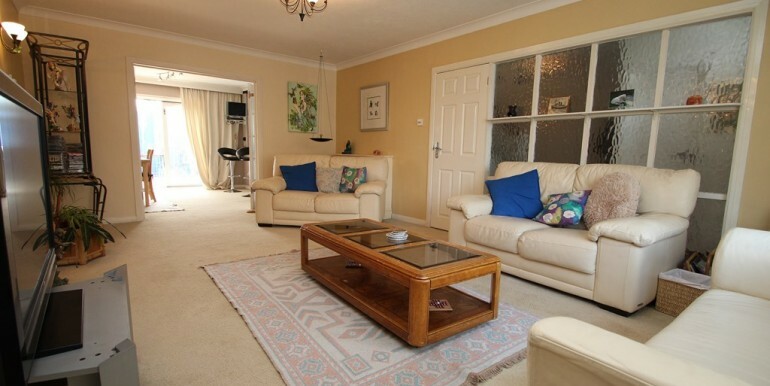 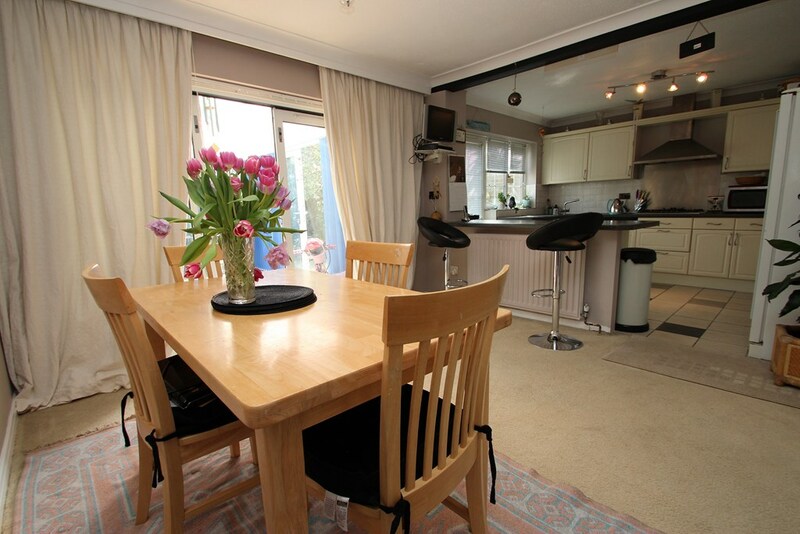 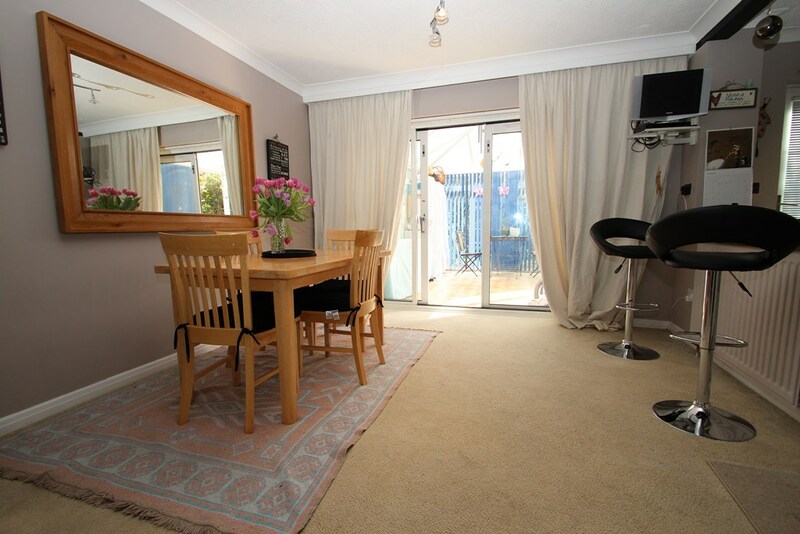 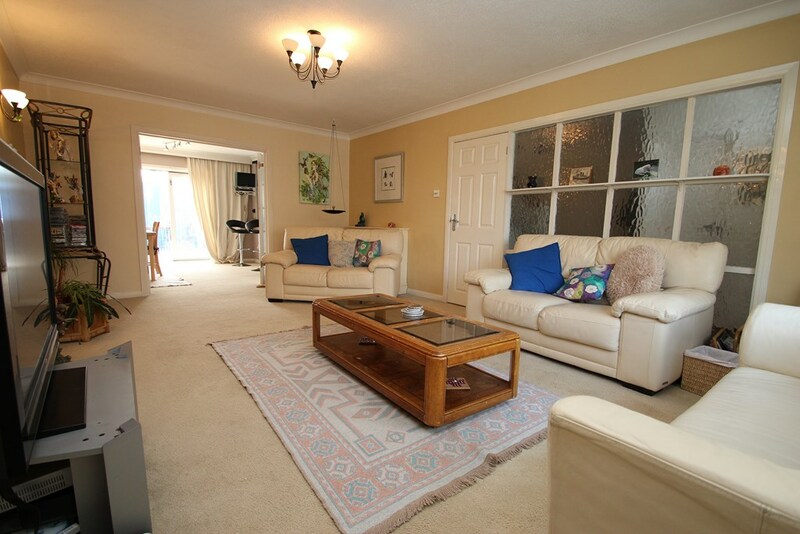 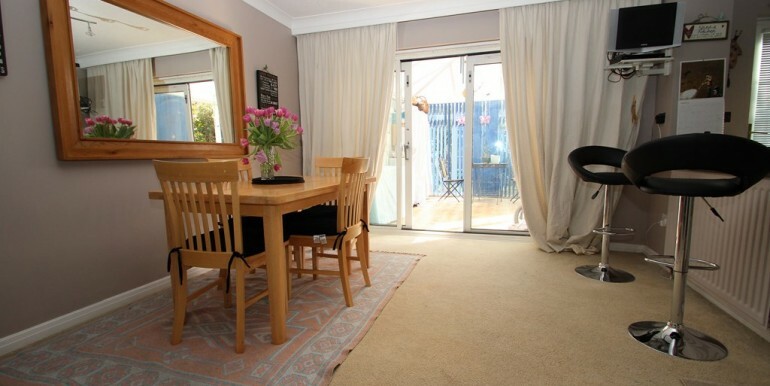 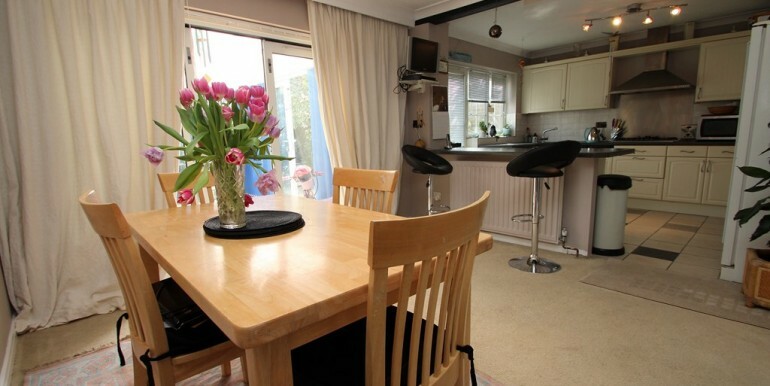 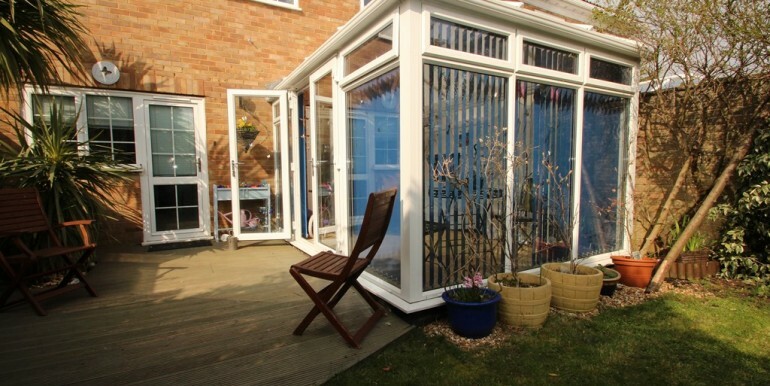 The dining area is of a good size, sliding patio doors lead through to the conservatory. 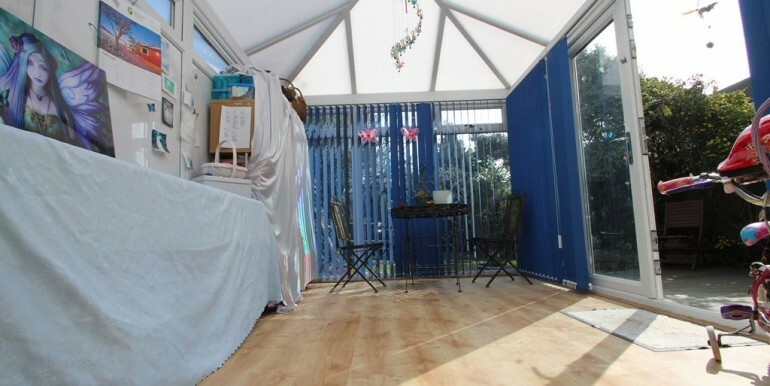 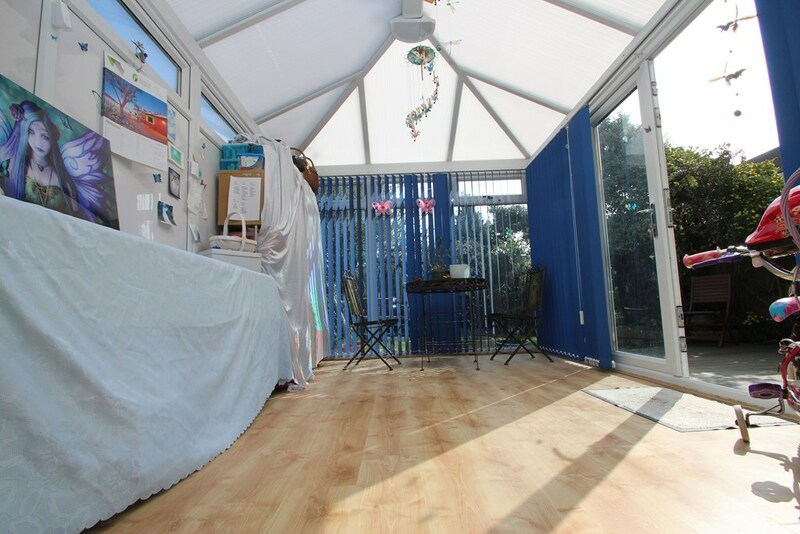 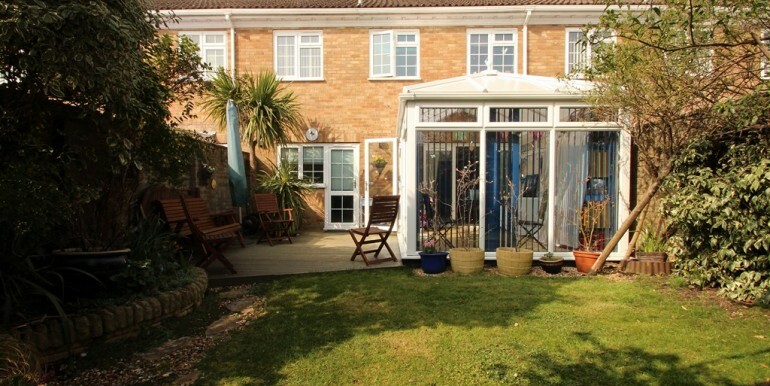 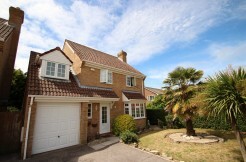 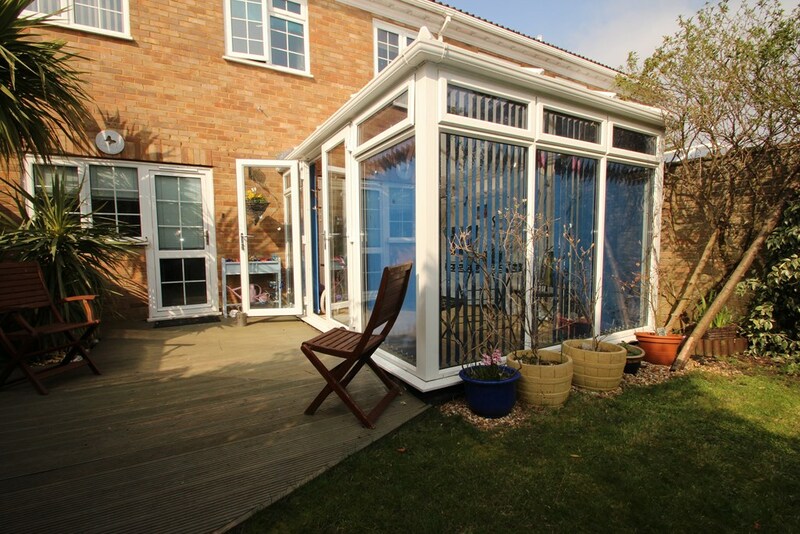 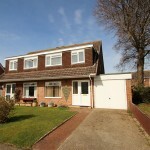 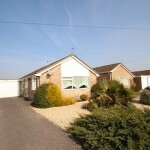 The conservatory is of UPVC construction, has a pitched roof and double opening doors open out to the rear garden. 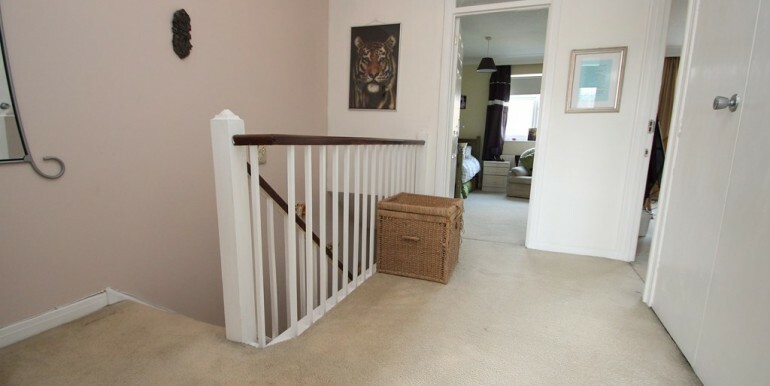 The spacious landing has a hatch to the loft space, an airing cupboard houses the hot water cylinder, slatted shelving above, doors lead from the landing into the bedrooms and bathroom. 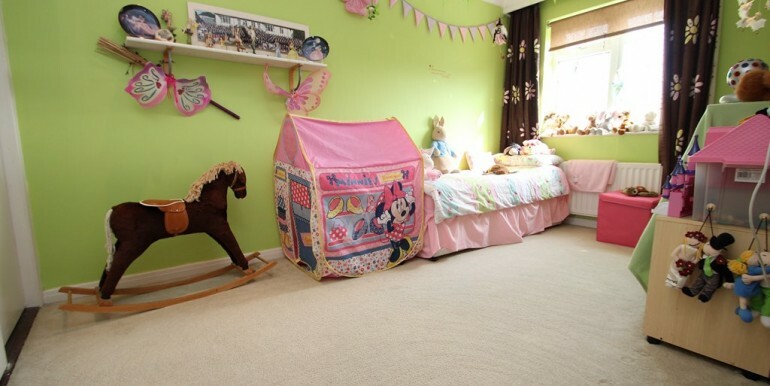 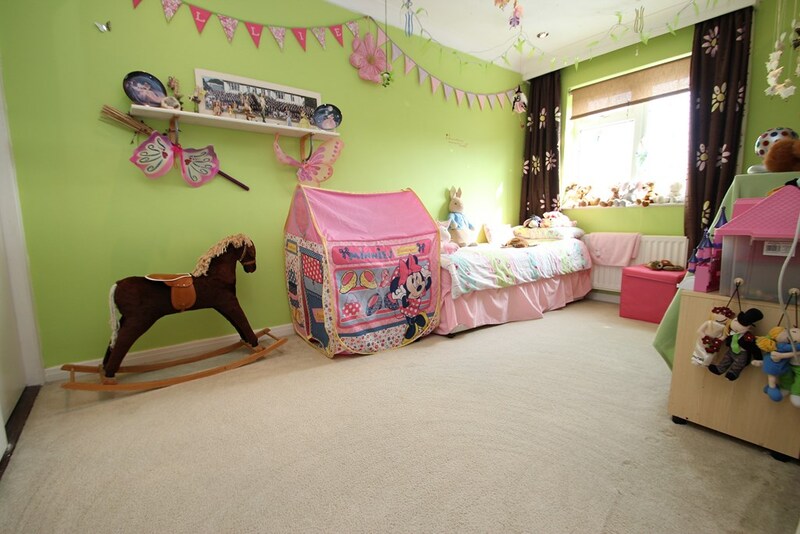 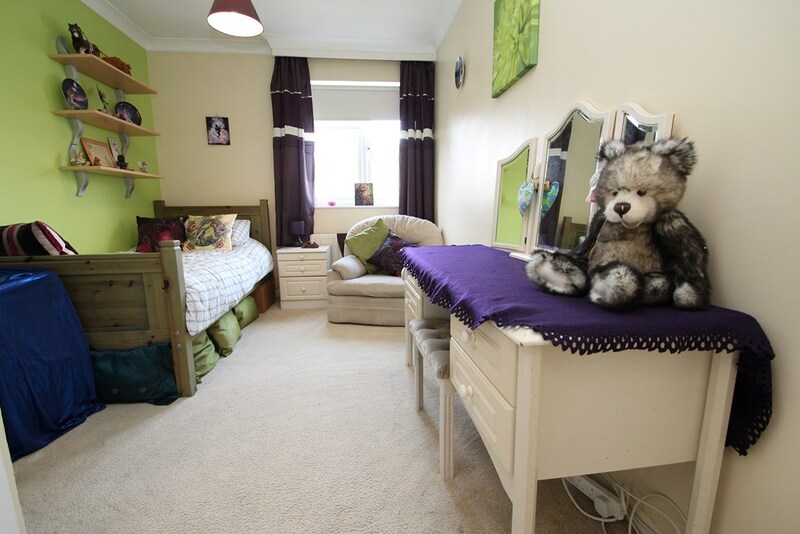 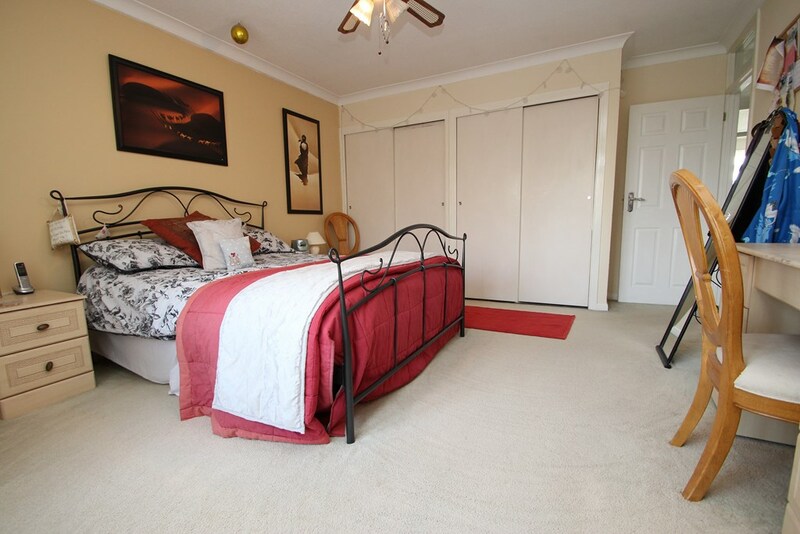 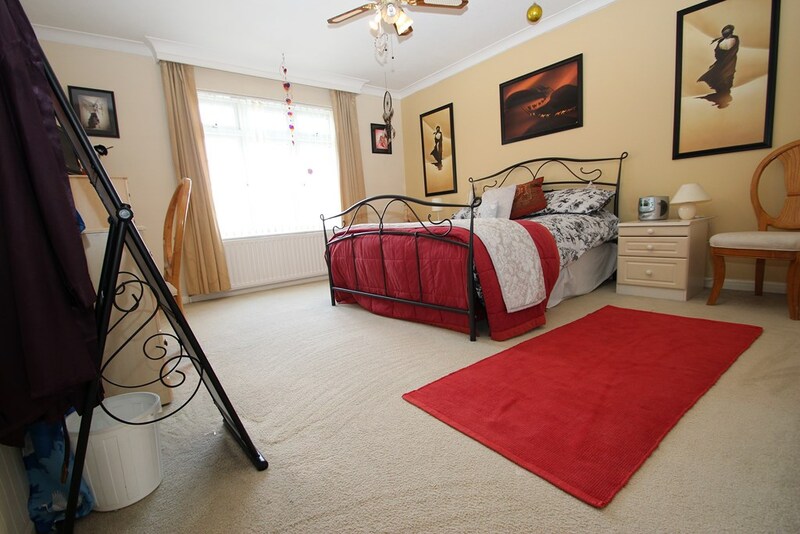 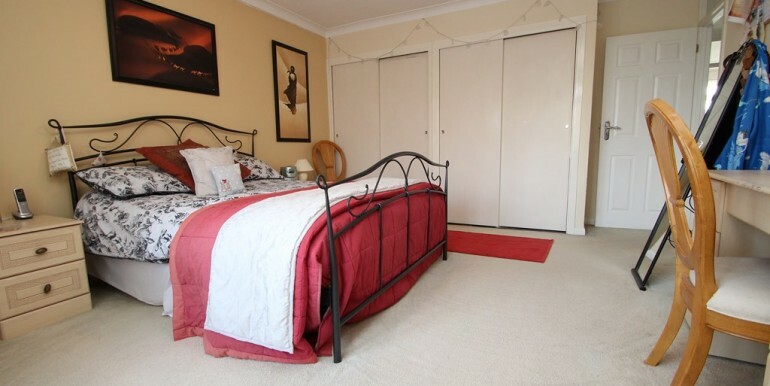 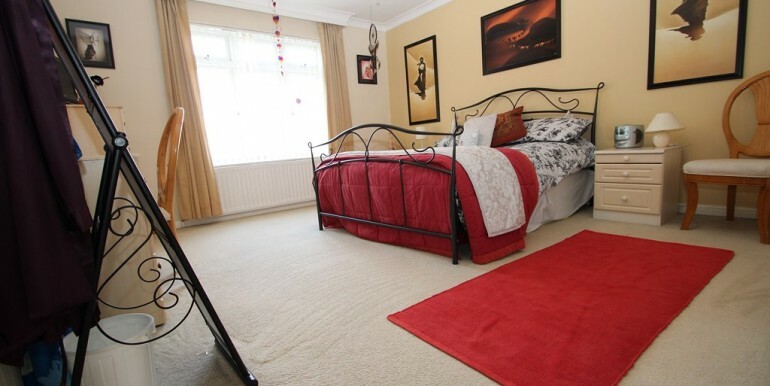 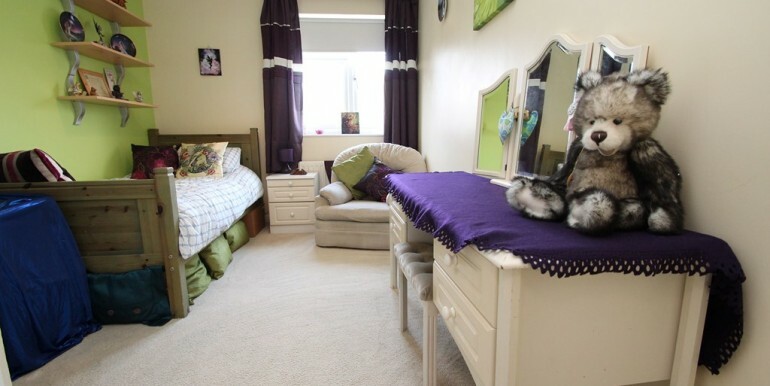 The master bedroom is a large double room and benefits from a good range of built in wardrobes, bedrooms two and three are also double rooms, both of these rooms benefit from built in wardrobes, bedroom four is a good sized single room. 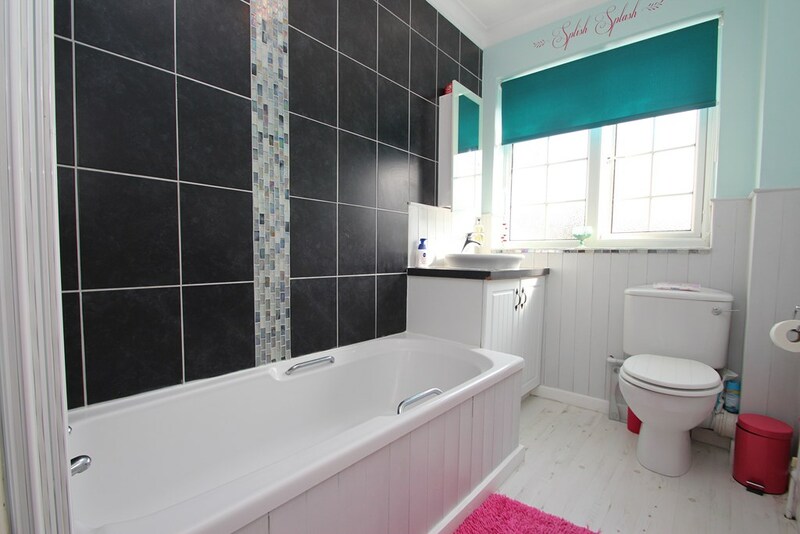 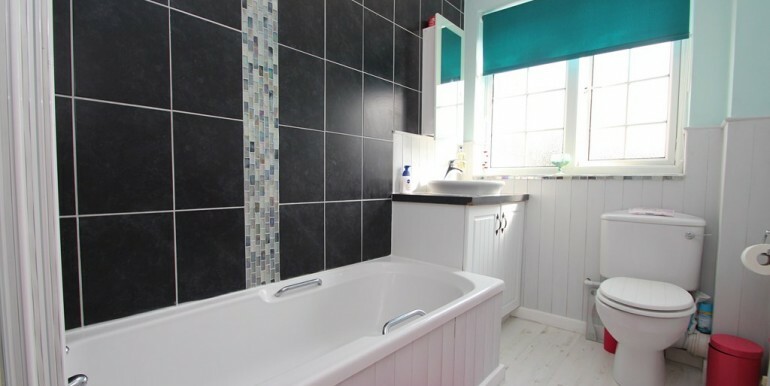 The bathroom has part tiled walls, panelled bath with a wall mounted power shower system above, low flush WC and a wash hand basin. 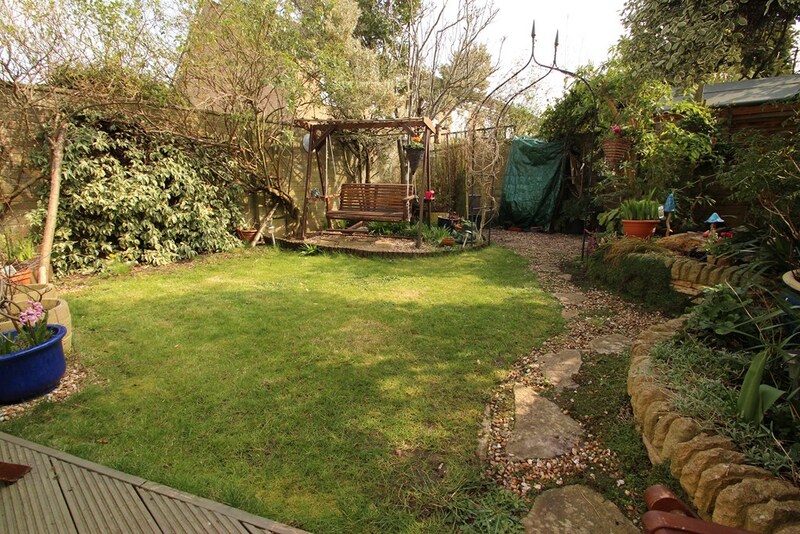 The rear garden has a decked area that adjoins the rear of the house and leads to the garden which has been mainly laid to lawn, raised borders display a colourful range of plants and shrubs, pond, timber built shed, a gate provides access out to the single garage which is in a nearby block. 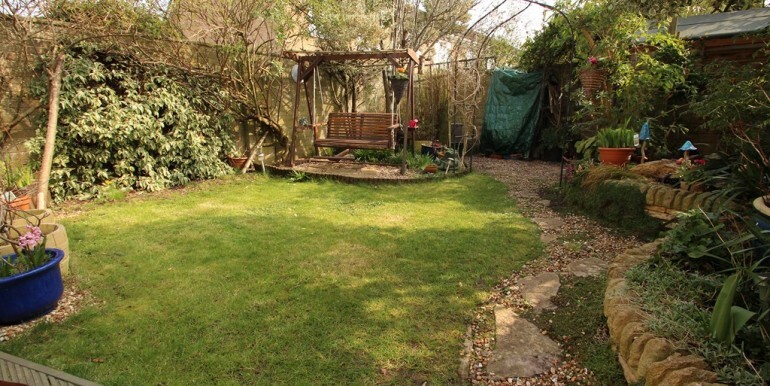 The front garden has been mainly laid to lawn.